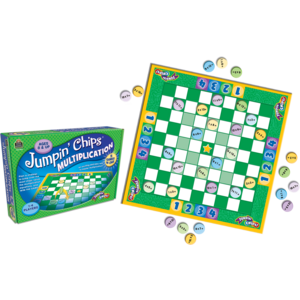 Choose from 5 different games to practice and master multiplication facts through 12 x 12. 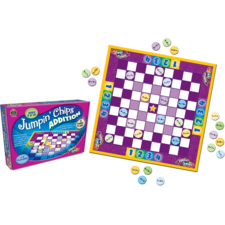 All of the games are played in a style similar to traditional checkers. Players move chips around the game board, jumping and collecting chips as they solve subtraction equations. For 1-4 players. Each of the games has specific rules and ways to win. My students love it! They almost beg to play it. I keep it in a Math Center that students can use when they have free time or they need to practice their facts. It seems that particular Center is always in use.